Whether you’re working on a restoration project, or you just got a brand new vehicle, most issues can be fixed in your home’s garage. Of course, granted that you have some basic automotive tools at hand for the particular maintenance tasks you need to perform. Working on your own car can save you time and money, and if something breaks down the road, you’ll have the confidence to fix it. That being said, you can’t just take out the tool shed that you use for home maintenance and expect to promptly fix your car with the same tools. Instead, you should invest in specialised automotive ones and save yourself the trouble. But with so many automotive tools, where do you start? Well, you can buy automotive tools online at affordable prices and have them shipped directly to your home. 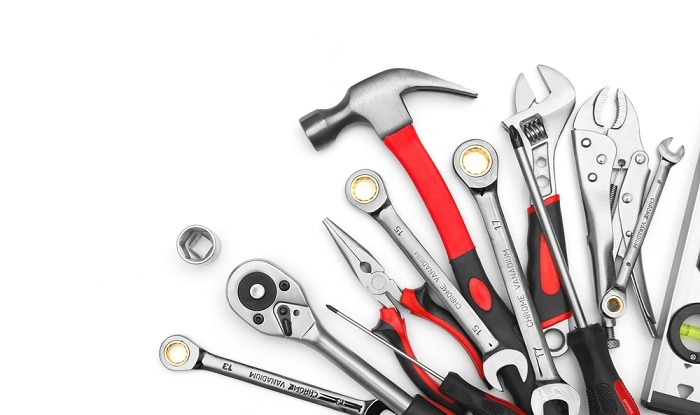 The most essential tools include a socket set, wire cutters and pliers, a torque wrench, and screwdrivers. All of these can be found if you search automotive tools online, and are relatively cheap. They won’t break your bank, and you’ll save a ton of money down the road by simply performing the most basic maintenance tasks yourself instead of turning to a mechanic. By far the most utilised tools are the sockets. A set of sockets will enable you to do most of the repairs on your car. Generally, a socket set will include both metric and standard sizes and a ½inch, ¼inch drivers and sockets, as well as thin walled sockets and extensions that can be useful in quite a few situations. Besides the standard sockets, the set will usually include from several up to a few dozen other sizes, which should cover most of your needs. There are quite a few electrical projects you can work on on a vehicle such as wiring new headlights, installing speakers or a stereo head unit. And in order to do that, you need pliers of different sizes as well as wire strippers and wire cutters. Some of the most common types of pliers include the slip-joint, locking, needlenose, tongue and groove, extra long lever needlenose pliers, etc. One of the most overlooked aspects of car repairs is setting the nuts to an adequate torque. Over-torquing can lead to the bolt shearing off and becoming more difficult to remove when the time comes for it, and under-torquing can lead to lose bolt, which can be extremely dangerous. A torque wrench ensures the tightening is done according to the proper specifications. Screwdrivers are as useful in your garage as they’re around the house. However, you might need to expand your collection a bit. Ensure the set you buy has a large flathead that can also be used as a prying tool, and small screwdrivers that are delicate for electronic work.